UPDATE: At the January 24, 2018 meeting, the Board decided not to proceed with the further review of Edenwold School. 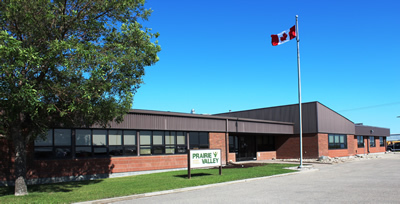 On October 11, 2017, the Board of Education of Prairie Valley School Division passed a motion to place Edenwold School into the school review process as prescribed in The School Division Administration Regulations under The Education Act. Each of the above criteria will be considered in the context of best interests of students, the school, the school division and communities. As of November 1, 2017, the school review committee is formed, consisting of four representatives from the Edenwold SCC, two from the Village of Edenwold and two from the surrounding rural municipalities. The school review committee will seek public input and prepare a report to the Board of Education. For more information, contact the Edenwold SCC.